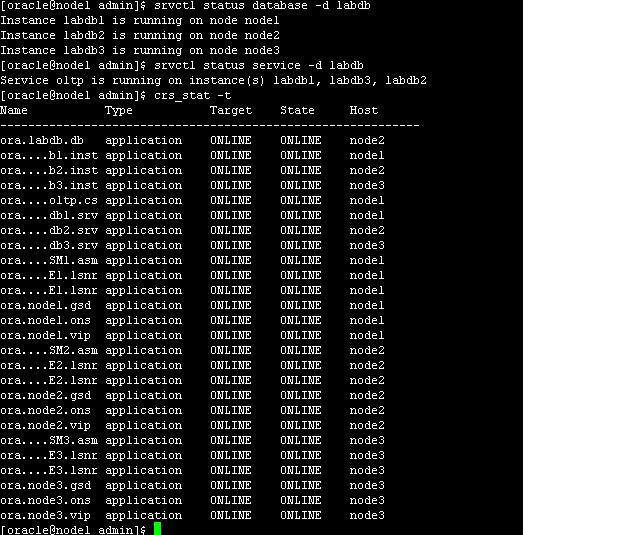 Step By Step: Install Oracle 10g R2 Clusterware on Oracle Enterprise Linux 5.5 (32 bit) Platform. 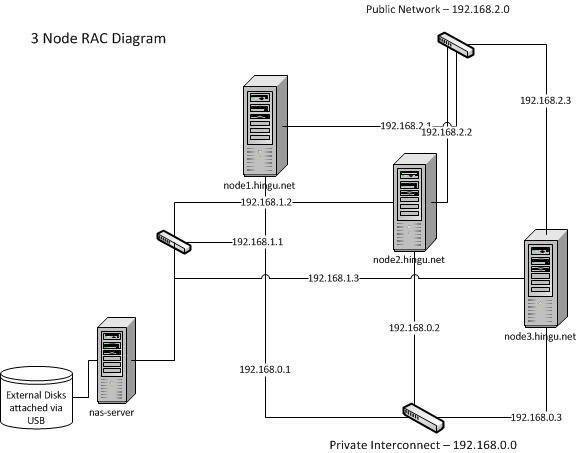 Get ready with the RAC Architecture Diagram and RAC Setup Information about Cluster Name, Node Names, VIPs, and Inventory Location. Manually verified the Operating System Package Requirement. Entered the hostname and VIP names of the Cluster Nodes. Verified the information here and pressed “Finish” to start installation. At the End of the installation, the two scripts needs to be executed as root user. The use of srvctl also throws the similar error message. This is due to the hard coded setting of LD_ASSUME_KERNEL parameter into the srvctl and vipca executables and this parameter is no longer needed for Enterprise Linux 5. So, as a workaround, it was required to add the below line into these two executables right below the “export LD_ASSUME_KERNEL” line on all the nodes. The srvctl from ASM_HOME and DB_HOME home should also be modified as well make it work correctly. $JRE $JRE_OPTIONS -classpath $CLASSPATH $TRACE oracle.ops.opsctl.OPSCTLDriver "$@"
Now, run the root.sh one by one. The root.sh will fail with the below error on the last node when it is trying to configure the VIPs. This is because of non-routable IP is selected for VIP (192.168.X.X) which is normal case. Once failed, exited out of the runInstaller and ran the “vipca” manually to configure the VIPs. 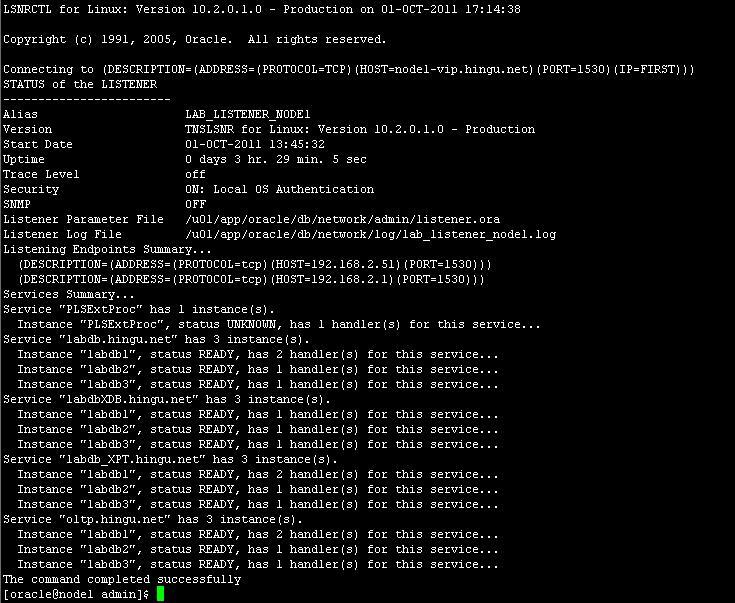 With the Successful installation of 10g R2 Clusterware (10.2.01), next is to install 10g R2 RAC (10.2.0.1) software for ASM_HOME. 4 requirement failure messages should be ignored here. These messages are coming because the OEL 5 is not recognized as supported OS by the 10gR2 software. Specify Diskgroup Characteristics and Select Disk. At the End of the installation, the below script needs to be executed as root user on all the RAC nodes. Verify that the asm instance is up and running on all the nodes. Modify the listener.ora file and update the SID_LIST section with the ASM instance information as show below on all the RAC Nodes. This is because the ASM instances are registered with local listeners with the status of “BLOCKED” which prevents dbca from connecting to ASM at the time of database creation. Invoke the netca from DB_HOME (/u01/app/oracle/db) to create the listener LAB_LISTENER on port 1530. Verified that the labdb is created and registered to the CRS successfully. Also, check to see if labdb is registered with the database listener LAB_LISTENER successfully. Step By Step: Upgrade Clusterware, ASM and Database from 10.2.0.1 to 10.2.0.3.